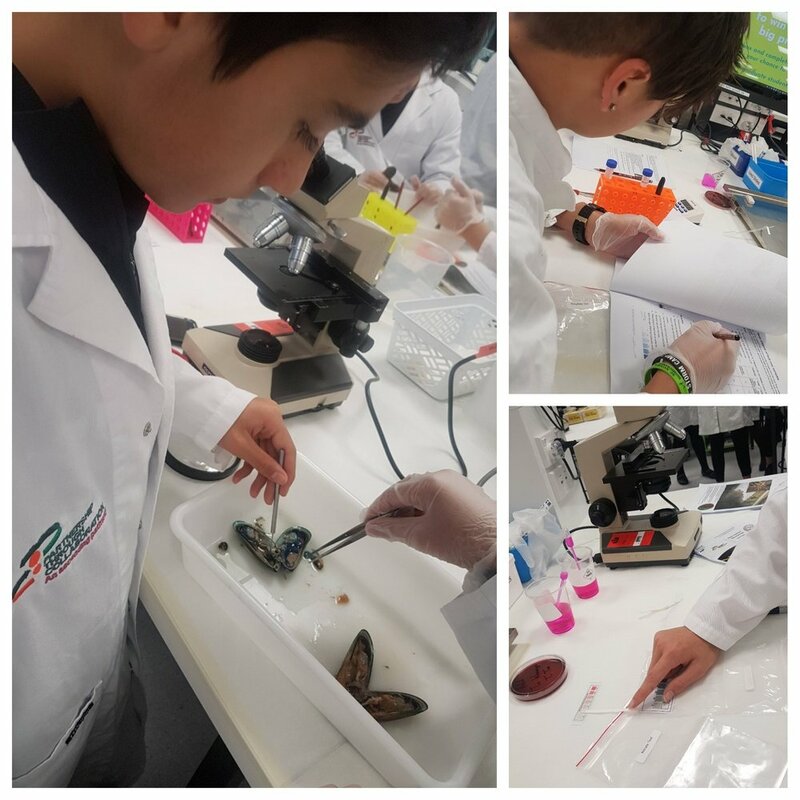 Rangatahi from Kawerau and Manawatu were excited to investigate New Zealand’s Greenshell™ Mussel (Perna canaliculus) with Dr Ryan at Victoria University. Found in the coastal regions of New Zealand, all specimens have a distinct green lip with a dark green shell often blended with yellow, red, or brown streaks, the inside of which is iridescent. Researchers report that the mussel industry is worth over $200 million in food exports and more than $40 million in biopharmaceuticals and health supplements. The New Zealand Trade and Enterprise website describes green-lipped mussel extract as “one of the most effective natural anti-inflammatory and joint mobility supplements available” and dozens of products (of varying quality) are now on the market worldwide. It’s also a popular ingredient in veterinary products, used to relieve everything from degenerative joint disease in dogs to fetlock lameness in horses with osteoarthritis. Consequently learning of the science and challenges of these bivalves becomes even more significant to our future leaders. Rangatahi learnt that mussels are very significant to our marine environment because they serve as filter feeders, removing organic matter, phytoplankton, fungi and bacteria that are attached to non living organic particles, whilst other types of materials become mussels' waste and deposited on the river beds . Whilst this process builds body and shell for the mussel; it also benefits plant life, invertebrates, fish and many types of sea creatures. Through their filter feeding process, mussels improve the clarity of the water and overall cleanness of the water they inhabit. Even though these ecological gems play a vital role in our aquatic environment, they are endangered by the increasing acidification of seawater caused by the uptake of additional carbon dioxide from the atmosphere which is dissolved in seawater. Mussels are also very sensitive to a decline in pH in early life stages. One important reason for this is the enormous calcification rate in the larval stage between the first and second day of life; which corresponds to the weight of the rest of their body. According to scientists Ramesh et al (2017), in international journal Nature Communications, this process is extremely important in understanding the impacts of ocean acidification (OA) on reef forming bivalves (oysters, mussels). Efforts to restore mussel reefs are prevalent across the world as scientists have discovered the stabilising and anchoring effect they can have on our on lakes or seabeds and the richness of the aquatic garden they provide to several species of fish . NZ's Mussel Reef Restoration Trust, for example has taken on a phenomenal project toward restoring seabed mussel reefs and its viable ecosystem. 'In December 2013, the Trust dropped 7 tonnes of mussels near Waiheke Island. In September 2014, around three and a half million live adult mussels were deposited in a restoration area the size of eight rugby fields off eastern Waiheke Island'. 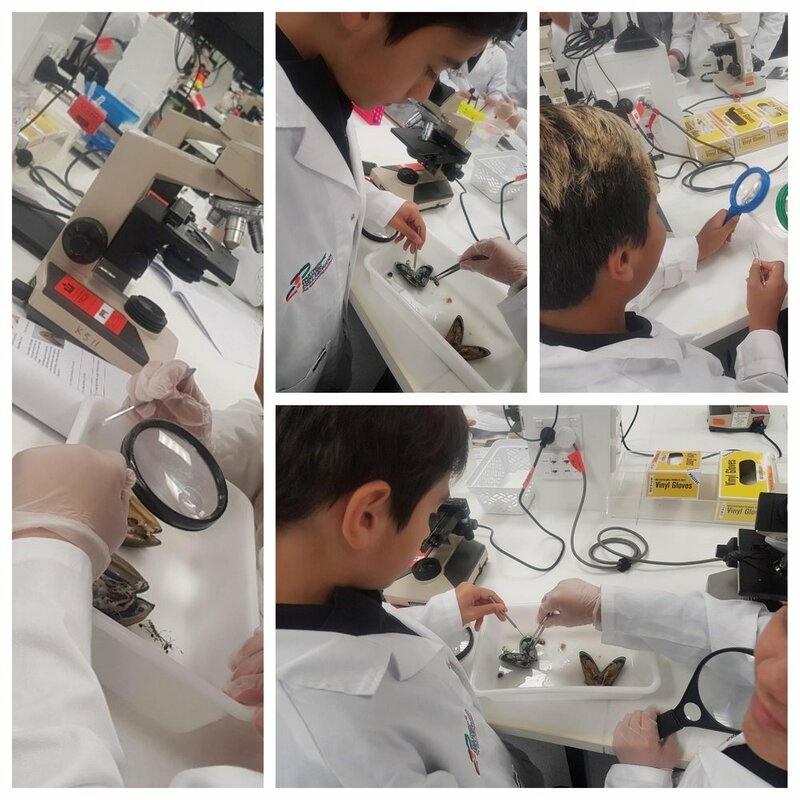 Rangatahi ended their day with a deeper appreciation of the critical role played by mussels in our oceans and lakes and the ways they can assist whānau and tamariki understand the science behind these fascinating creatures.